DAVIS, Calif. (CitizenWire) — California IVF: Davis Fertility Center, Inc. (californiaivf.com), working in conjunction with Gene Security Network (genesecurity.net) leads the field in bringing a new test to patients that combines the detection of single-gene genetic disorders with a 24 chromosome screening. Using Gene Security Network’s Parental Support(TM) technology, at-risk couples undergoing in vitro fertilization can now test developing embryos for a larger number of hereditary diseases before implantation and pregnancy. This pre-implantation genetic screening/diagnosis (PGD/PGS) tests for single gene disorders like Sickle Cell and chromosomal abnormalities like Down Syndrome with a single cell from each embryo. This is the first commercial application of these combined screenings. California IVF provides advanced fertility services to the greater Northern California area, including in vitro fertilization (IVF), donor sperm and donor eggs, embryo freezing or cryopreservation, ICSI, and other advanced treatments for both male and female infertility. It is also a Sacramento area partner clinic for Gene Security Network and has been an area leader in advanced chromosome and genetic testing of embryos since 2005. The staff includes a team of experienced embryologists who are skilled at performing pre-implantation genetic diagnosis (PGD) and screening (PGS). For more information, please visit www.californiaivf.com. GSN’s proprietary Parental Support(TM) technology is the first to leverage data informatics to deliver highly accurate single cell testing for chromosome abnormalities and genetic diseases. The company is based in Redwood City, CA, and supported by multiple grants from the National Institutes of Health and leading venture investors like Claremont Creek Ventures and Sequoia Capital. GSN’s technology is at the forefront of pre-implantation genetic testing and the demand for their services has been increasing rapidly. For more information, please visit PGD Experts or www.genesecurity.net. For more information on the clinical study, visit: http://clinicaltrials.gov/ct2/show/NCT01023048 . 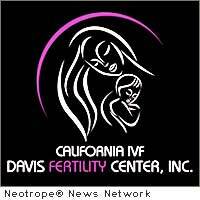 News Source for this Press Release: California IVF: Davis Fertility Center, Inc. :: This news release was first issued by and is Copyright © 2010 the Neotrope® News Network – all rights reserved. Originally published on CitizenWire™.